“The films that we have are works of art — they’re pieces that are well put together, there’s good funding behind them, they’re beautiful stories, impactful stories. It’s just amazing to see a good film that also happens to have queer content,” said Hannah Enns, operations and festival coordinator for 2018. Rainbow Reels Queer and Trans Film Festival is well underway for its eighteenth season. This festival is the largest of its kind in South-Western Ontario, as well as the oldest. It runs in Kitchener-Waterloo with the aim of bringing light to diverse issues in the LGBTQ+ community. “A lot of time, you see queer and trans represented in the media in very traumatic events. Or we gather together for vigils or for mourning or remembering the homophobia and transphobia we face in the world,” Enns said. This year’s festival began on Oct. 12, 2018 and it will run until Oct. 21, 2018. It’s the first year that Rainbow Reels has been split up over two weekends, and it’s exciting to see the variety of content that this brings. Enns stressed that the festival is also concerned with representation of real people on screen — the trans characters are played by trans actors, the lesbians by lesbians, etc. This is something that separates them from other festivals of their kind, as well. Furthermore, the festival serves to show diverse voices, especially those to speak to other minority peoples, such as discussions of racism and colonialism within the KW community and beyond. 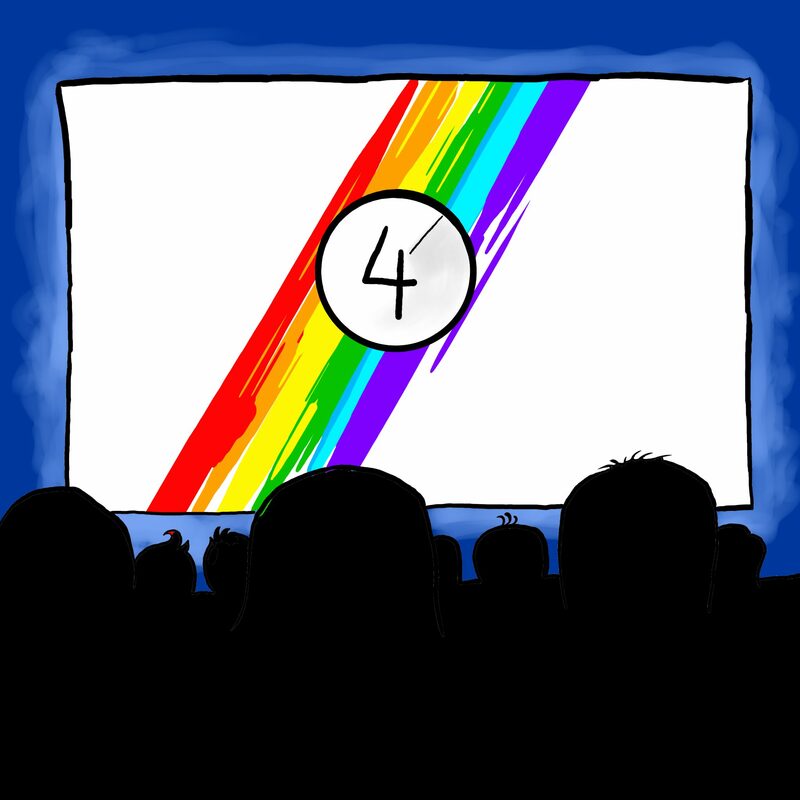 On top of the screening events that are traditionally associated with film festivals, Rainbow Reels also features comedy nights, performances and more. The festival is running through to Sunday, so there is still plenty of time to catch some of the films and events that are coming up. Both Princess Cinemas and The Apollo Cinema are screening films for this year’s festival. Fresh Ground and The Walper are also participating in this year’s festivities, hosting the comedy show and the queer slow dance respectively. Though the runtime of Rainbow Reels is quickly passing us by, the bulk of the movies are still to come. Most of the films will be screened at The Apollo this upcoming weekend. Closer to home, the Diversity and Equity Office has sponsored a film, Behind the Curtain: Todrick Hall, at Rainbow Reels this year. Laurier students are able to get into this film for free when they show their OneCard, and it will be screened at 4:00 p.m. on Saturday Oct. 20 at The Apollo Cinema in Kitchener. Another upcoming highlight is the short film competition from filmmakers in the KW community. The event will take place at the Apollo and many of the filmmakers will be in attendance for the screenings. For filmmakers and film lovers from Laurier, there is plenty of opportunity to get involved. All creatives from the community are encouraged to get involved. “We’re always looking for local content for our film festival,” Enns said. A personal favourite, The Babadook, will also be screened at the Apollo on Oct. 20 at 9:00 p.m. The film is not a LGBTQ+ film on the surface, but after a mishap that had the film appear under Netflix’s queer genre session, the Babadook character became a gay icon and was picked up by Pride. According to Enns, this was the Apollo’s contribution of their own to the festival and she is excited to see the turnout for this up and coming cult classic. “You don’t have to be queer or trans to come to the film festival at all,” Enns encouraged.